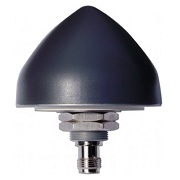 The TW2515 from Tallysman Wireless is an OEM wideband, switched RHCP/LHCP antenna, both for reception of GPS L1 and transmission of Globalstar STU (Simplex Transmit Unit) signals. The TW2515 incorporates a switching system that transforms the antenna from RHCP (GPS/GLONASS receive) to LHCP (Globalstar STU transmit). This eliminates the de-tuning effects of co-located near- frequency RHCP and LHCP antennas. Switch control is by means of a transmit strobe voltage superimposed on the Globalstar transmit signal or via an external line. 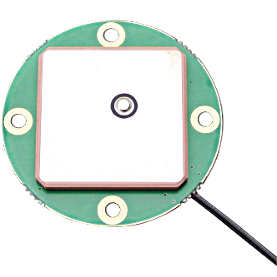 The TW2515 has a 1dB bandwidth that covers the 1575 to 1619 MHz band and includes an integrated 15dB GPS/GLONASS LNA. The GNSS amplifier is powered via a DC voltage conveyed on the GNSS feed coax center conductor, which also powers the transmit switch. The GPS LNA is disconnected and protected during the brief STU transmit periods. Switching times are <5 åµs. 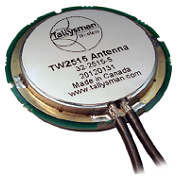 The TW2515 features a large 46mm dia patch which excellent axial ratio (3dB max) over the antenna bandwidth. 5 uSec GPS/Globalstar switching time.